Since the weekend tributes, both public and personal, have been pouring in following the death of Maria Esther Bueno, a highly revered champion who was much loved around the world. This great champion battled cancer for over a year and a half, bravely enduring the indignity of treatment very privately, but finally succumbing a week ago. She will be sadly missed by so many, especially at all the clubs that she loved to visit and to play at. An insect bite in February 2016 that refused to fully heal was surgically removed in early 2017 and found to be malignant, resulting in a course of radiotherapy. 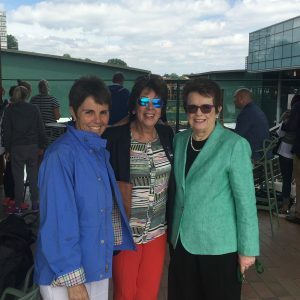 While it was thought she was in remission last summer and she made it over for Wimbledon, hitting at the club several times, tests later unfortunately revealed that the cancer had metastasised elsewhere and she underwent further radiotherapy treatment. She continued to play up until April this year when she felt pains in her shoulder which, at first, she thought to be an injury but, after more tests, it was discovered that the cancer had spread to other organs of the body. Maria was admitted into hospital in São Paulo on 11 May for pain control and to start immunotherapy treatment, and remained optimistic about returning to London for Wimbledon this summer, as she had done for so many years. Despite all the efforts of her medical team, Maria died on Friday 8 June, age 78, peaceful at the last. The funeral took place the following day, and her body lay in the Oval Office of the Government House of São Paulo where mourners paid their respects before being later laid to rest in a private ceremony at the Cemitério da Consolação, the oldest necropolis still in operation in the city where many public figures are buried. 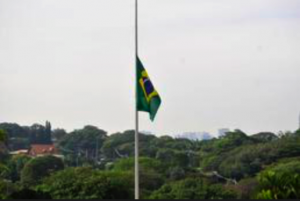 Three days of mourning were declared by the Governor of the State of São Paulo, and she received tributes from, amongst others, the President of Brazil, the Olympic Committee, Tennis Confederations, clubs and many, many friends from all over the world. 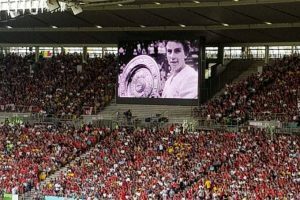 French Open organisers paid tribute to Maria with a minute’s applause ahead of the women’s singles final at Roland Garros last Sunday, and she was honoured on the big screen of the Ernst Happel Stadium in Vienna at the start of the Brazil v Austria friendly ahead of the World Cup on Monday. 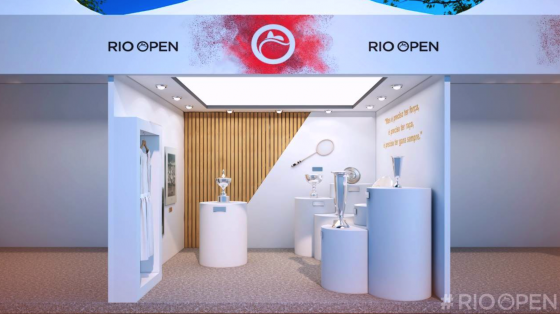 A Memorial Mass was held at Nossa Senhora do Brasil, the church she attended every week in São Paolo on Friday 15 June, attended by the Chairman of the All England Lawn Tennis Club, Philip Brook. 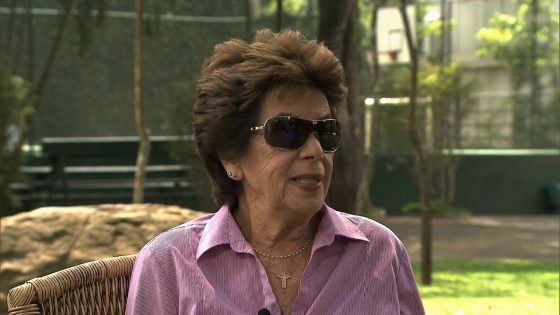 Maria was South America’s most successful tennis player, having won 19 major titles, including three Wimbledon singles titles and four US championships, and she dominated the game during the late 1950s and 1960s. She surely would have won much more had her career not been marred by illness and injuries, bedridden for eight months by hepatitis in 1961 and overcoming knee surgery in 1965, coming back strongly from both. She was again sidelined between 1969 and 1974 by severe cramps and pain in her right arm that required multiple operations, a problem she attributed to putting too many demands on herself. The upshot was that she never made it fully into the Open era and is often forgotten as the star who helped usher in the modern women’s game. 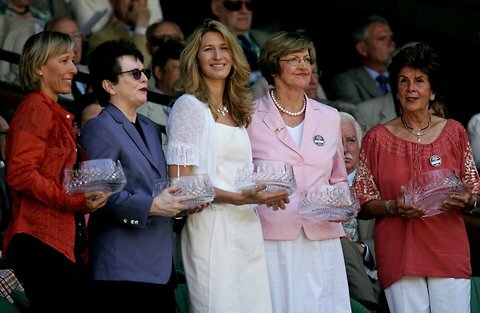 The great Margaret Court summed it up recently: “I felt sorry for Maria Bueno, because we had a social function, and it was the Open era, and Maria is sitting out there and she won three Wimbledons and quite a few Grand Slams but wasn’t included in it. 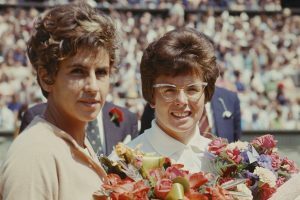 Billie Jean King, however, has always acknowledged Maria’s contribution, leading tributes with: “Maria was a big star who caught the interest of the fans at a time when the men took centre stage. She helped lay the groundwork for what was to come. She deserves to be recognised. “I always looked forward to seeing Maria at Wimbledon and some of the other major tournaments. She was the first superstar of South America and she was revered there. “She was a huge influence on my career, and for many players from my generation, she was the one we all looked up to. 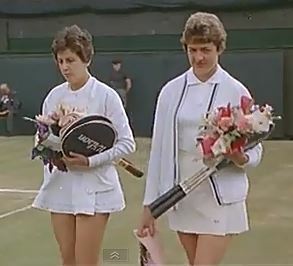 I had the privilege of winning a Wimbledon doubles title with her in 1965. 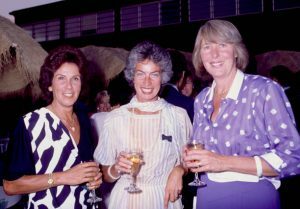 Virginia Wade wrote: “I have so many deep remembrances of her, especially as she was my hero when I was growing up and still in South Africa. “Then when I saw her in person at Wimbledon when I was just 16, with that exquisite beauty on the court, she was quite breathtaking. The way she glided around the court with such elegance and hit the ball was mesmerising. “Despite the fact that she was a mega hero in her era, it is so ridiculous that her effect on the game has not been recognised to the extent it should, in today’s world of tennis. “Maybe my only regret was that in the three times I played her, I couldn’t get near to beating her! But when she had been part of the 1977 Wimbledon parade of champions on the Centre Court, and I bumped into her at Queens later that day, and said how great the parade was, she said to me that I would be in the next one. Maria was always glamorous in dresses styled for her by couturier Ted Tinling. In ‘Tennis Encyclopedia’, Bud Collins described her as “the incomparably balletic and flamboyant Bueno. 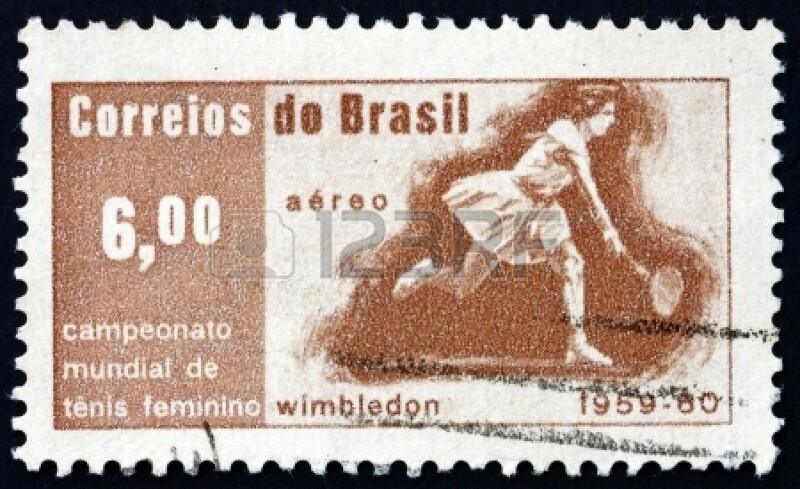 “Volleying beautifully, playing with breathtaking boldness and panache, the lithe Brazilian became the first South American woman to win the Wimbledon singles,” Collins wrote. 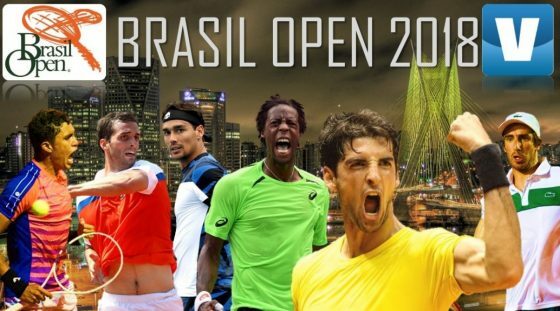 Adored in Brazil after winning the trophy, Maria became one of the symbols of the country’s change from mostly rural to urban and modern. They honoured her with a postage stamp, statues, the Olympic tennis stadium and all the top national and state awards and medals. She was ranked No 1 in the world in 1959, 1960, 1964 and 1966 and was the first non-American woman to win Wimbledon and the US Open in the same season. Memorably, Maria returned to play on Centre Court at Wimbledon in 1976, winning through to the quarter-finals. 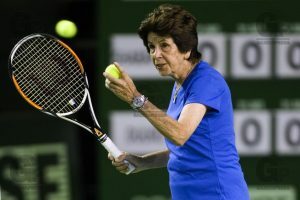 After retiring in 1977, Maria become an ambassador for the sport she loved and forged a second career as a television commentator, adding to her celebrity status both in her home country and around the world. 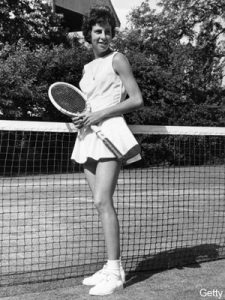 She was inducted into the tennis Hall of Fame in 1978.